South Wales law firm QualitySolicitors David & Snape is the latest to sign up to SOS Connect integrated practice management and matter management from Solicitors Own Software. The firm is undergoing a full data conversion to SOS Connect after several years with one of its competitor legal software providers. 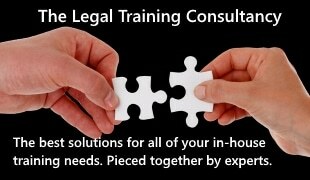 QualitySolicitors David & Snape is a full service law firm with offices in Bridgend and Porthcawl. “This change has been long overdue,” says partner Jonathan Chubb. “Our previous software had felt ‘ahead of the game’ at the time but we’d known for a while that the time had come for a change. We looked into switching supplier some time ago and, with the assistance of an external consultant, identified SOS as our preferred option. “We had also recruited a colleague who had experience of doing business with SOS, and they were able to reinforce the message that SOS Connect would be a suitable system for our requirements. “We’re taking things one step at a time but we may look to go on to install a workflow system for conveyancing with SOS, following the initial phase of matter management.